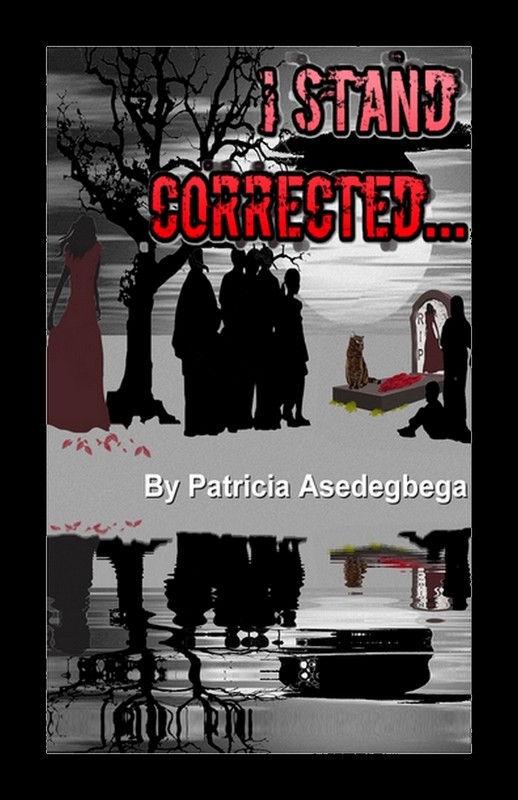 I Stand Corrected (Rosario and Balou Series Book 1) By Patricia Asedegbega was a really gripping read, that tackled a very sensitive subject of violence really well within the story. Also I found it interesting how Balou the cat took it upon himself to help Rosario at a very hard time in her life. I pre-ordered this book on the kindle but I think you can also get it in paperback as well. The story itself was about Rosario and Javier a married couple whom attracted the public eye, when they went out because of their celebrity Status. Rosario met Balou in a pet-shop that Javier dragged her into convinced it would be a great belated birthday present. Little did either of them know that Balou would become Rosario’s pillow of strength in more ways than one, as he uncovered the dark and painful goings on in his new home. I found this book really well written and I loved the parts from Balou’s point of view. I thought his bond with Rosario was amazing. Also a lot of the other characters like the household help were very likeable. I also loved the idea that cats can sense more than humans can in a short space of time. I thought the Author did a really great job at tackling a very emotional, difficult and dark subject between Rosario and Javier. Some of the scenes were really gut churning and heartbreaking to read. I read this novel in one night after getting it on my kindle at midnight, because once I started reading it I couldn’t sleep until I knew how it ended for the people in the book. I also really enjoyed watching the book trailer, it was really well put together I thought..
Great review Katie, so much so, I wanted to buy the book!! Thanks Hun. 🙂 I hope you and Izzy are well. Thanks Hun..:) I agree it must be hard to get into the mind of an animal and see things from there point of view convincingly. I thought that the author did a good job with Balou, his parts did feel like you were seeing things from his point of view. I also think it must be interesting to write from a different view than a humans as well. I really enjoyed your review. I second Marianne’s comment that it must be difficult to write from the point of view of an animal. It sounds like the writer has done a fantastic job with it. Thanks! Thanks Hun. I agree it must be, but also fun to do so as well. The Author did do a great job with Balou’s parts. I hope you, Othello and Cleo are well. Great review, and I thought the trailer was fascinating! It sounds like this book is different from anything I’ve read before, and now I’m curious. I think I’ll have to buy it! Thanks- I loved the trailer too. It was different to the books I normal read. But an interesting read as well.